What workshops and other events can you attend? 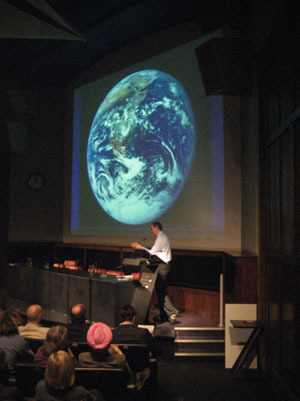 Please visit the Earthwatch or Corporate Environmental Responsibility Group (CERG) web pages for more events. The World Biofuels Markets Congress is Europe's largest World Biofuels Networking Event with over 1000 attendees expected. The aim of this event is to assist growth in the world biofuels industry in a timely and efficient manner. For more information click here. This biennal event will offer corporate executives, government decision-makers and leaders of the environmental industry the opportunity to explore mutually inclusive goals of corporate sustainability and business growth. For more information click here. What are the emerging governmental expectations of the business sector, and how far are these fair and reasonable? Is government trying to play 'catch-up' with a sector that is already leading across a broad front? If so, what support for Corporate Responsibility is it most important for government to give at this point? This high-level conference is now in its fifth successive year as a joint venture between Chatham House and FTSE Group. The two day event will examine the latest thinking on the responsibilities of business, government and civil society and assess how far corporate responsibility has become a normal part of everyday business . For more information click here. Supported by the Secretariat of the Convention on Biological Diversity and endorsed by UNEP FI this two day conference will explore all the issues relating to the developing area of Biodiversity & Ecosystem Finance. Speakers will be a balance of industry experts; financial institutions' and early adopter best practice case studies. Against the backdrop of climate change the environment is now fully on the agenda of large corporations and financial institutions alike. These considerations now go far beyond carbon markets and emissions trading. For corporates, banks and investors biodiversity needs to be viewed from both from the risk mitigation angle (reputational and performance exposure) and the opportunity angle. For more information click here. Held under theme of "Climate change and CSR: what are the strategic options for companies? ", the FEDERE forum (European forum for sustainable development and corporate social responsibility), is a key meeting point for companies involved in sustainable development bringing together some 700 participants. For more information click here. In the run-up to the CBD COP9, GNF and GTZ will organise a conference on how companies can contribute to realize the internationally recognized objective to slow down the rate of biodiversity loss by 2010 and to successfully implement the Convention on Biological Diversity. For more information click here. Carbon Markets Americas is Latin America's leading congress and exhibition for all stakeholders in the region's carbon markets, including: project hosts and developers, carbon credit buyers, government and municipalities, regional DNA's, consultants, verifiers, lawyers, carbon brokers and media. For more information click here. This event has been specifically designed to provide IT users with practical insights on how to deploy an intelligent IT Strategy that reduces energy consumption while demonstrating how ICT can deliver business process benefits that reduce enterprise wide environmental impacts. The Conference provides an opportunity for senior representatives from governments, businesses, international organisations and civil society to discuss resource efficiency issues and influence international debates. For more information click here. This event will offer participants the chance to engage with expert practitioners and contribute to debates around sustainability and reporting. Participants will benefit from a combination of learning from leading opinion formers, opportunities for dialogue, possibilities to expand their network and discover new trends in the world of sustainability reporting. For more information click here. The Conference of the Parties is the governing body of the Convention, and advances implementation of the Convention through the decisions it takes at its periodic meetings. To date the Conference of the Parties has held 8 ordinary meetings, and one extraordinary meeting (the latter, to adopt the Biosafety Protocol, was held in two parts). From 1994 to 1996, the Conference of the Parties held its ordinary meetings annually. Since then these meetings have been held somewhat less frequently and, following a change in the rules of procedure in 2000, will now be held every two years. To date the Conference of the Parties has taken a total of 216 procedural and substantive decisions. For more information click here. This event will bring together companies, regulators and other experts to discuss the best solutions for companies looking to mitigate their carbon footprints. This event will include sessions on carbon footprint and life-cycle analysis, energy efficiency, choosing green power sources, offsetting and emissions trading, climate adaptation, and engaging the public on global warming issues. Attendees will also learn about the latest update in climate change policy and how it will impact businesses. For more information click here. With significant rises in oil prices and the growing concern about stable, secure and environmentally friendly energy supplies, the promotion of biofuels is a priority. This event will bring together the influential people in the industry to discuss the development and growth of alternative fuels and how to create sustainability for the future. For more information click here. The conference focuses on the pragmatic side of sustainable finance, both in terms of immediate assessment, by looking at the potential standardization of sustainability indexes, indices, ESG factors, reporting, emission management, quantifying of climate change etc... and in terms of the future of responsible investment (emerging markets, pension funds, renewable energy, microfinance etc...). For more information click here. The World Water Week in Stockholm is the leading annual global meeting place for capacity-building, partnership-building and follow-up on the implementation of international processes and programmes in water and development. The theme of the week is "Progress and Prospects on Water: For a Clean and Healthy World", including a Special Focus on Sanitation. For more information click here. APRCP's approach is to promote technology and information exchange, and to encourage cooperation and partnerships among government, industry, academic institutions and non-governmental organizations. APRCP's mission is to provide leadership and support that will enhance information flow and human resource development, and will strengthen public-private partnership to stimulate the promotion and implementation of cleaner production strategies and technologies in the region. For more information click here. Held every four years, the World Conservation Congress is one of the world's most important events devoted to improving our natural environment for human, social and economic development. More than 8,000 leaders from governments, NGOs, business, UN agencies, scientific domains and community groups are expected to attend. The theme of the Congress is a diverse and sustainable world. It will showcase the links between natural, social, cultural and economic diversity. For more information click here.